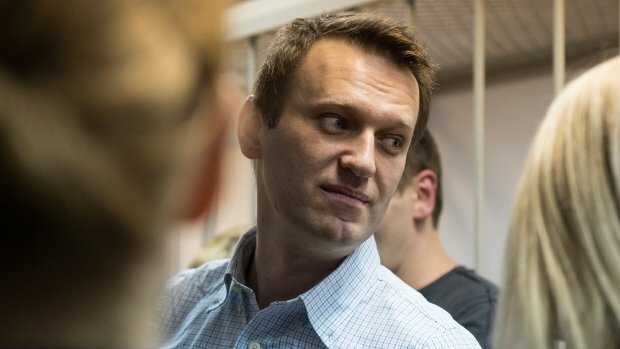 Vladimir Putin’s critic Alexei Navalny has avoided jail after getting a suspended sentence in a high-profile fraud case. Alexei Navalny, 38, was given a suspended prison sentence of three-and-a-half years for defrauding two firms. His brother, Oleg Navalny, is facing a three-and a-half year custodial sentence. Alexei Navalny has consistently said the charges were politically motivated. He accused President Vladimir Putin’s government of targeting the relatives of his opponents. The Navalny brothers were convicted of stealing 30 million rubles ($518,000) from the companies, one of which is an affiliate of French cosmetics giant Yves Rocher. Prosecutors had demanded 10 years in prison for Alexei Navalny and 8 years for his brother Oleg. Although both were found guilty of embezzlement, only his younger brother will be jailed. Alexei Navalny denounced the verdict as political “pressure”. Alexei Navalny was shocked by the outcome of the trial for his brother. “Why are you putting him in prison?” he asked the judge. Alexei Navalny has been one of Vladimir Putin’s fiercest critics for several years, leading mass protests against his government in 2011 and 2012. Tuesday’s verdict is the latest in a series of criminal cases against Alexei Navalny, which he says are fabricated to neutralize his political influence. In 2013, Alexei Navalny came second in Moscow’s mayoral election, supported by 27% of voters. He is already under house arrest, serving a 5-year suspended sentence for the alleged theft of 16 million rubles ($276,000) from a timber company in 2009. The latest verdict was due to have been announced next month, but the court session was abruptly moved forward to December 30 after thousands of his supporters announced plans for a big protest rally on January 15. After sentencing, Alexei Navalny called on his supporters to protest. “I call on everyone to take to the streets today,” he said. Thousands have already said on Facebook that they plan to attend a rally in Moscow’s Manezh Square, near the Kremlin, at 19:00 local time on December 30.